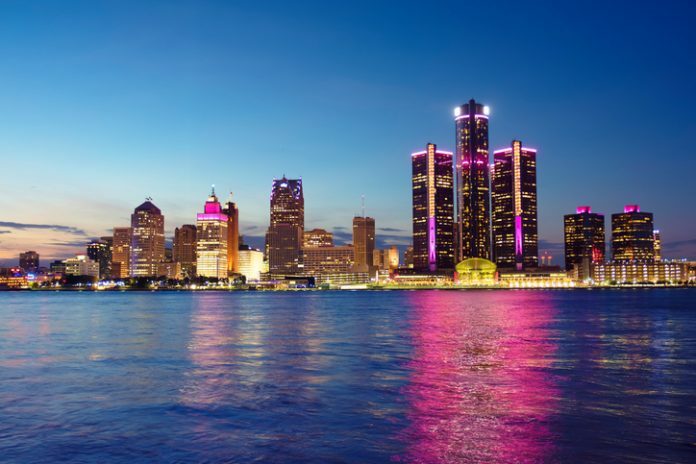 City Growth Partners in Detroit today announced it would construct a $136-million mixed-use project on the city’s east riverfront along Atwater Street near the Renaissance Center. The project will offer 360 apartments, 20 percent of which are affordable, a 120-room boutique hotel, and around 40,000 square feet of commercial space. Construction is expected to start in early 2020 and take two years to complete. In a transfer of development rights from McCormack Baron Salazar that was approved by Economic Development Corp. today, CGP is partnering with ODA, a New York based architecture firm known for its Tetris-inspired, boxy. Every apartment, hotel room, and retail space will feature riverfront views. “We’re driven by a passion to create catalytic projects with social, economic, and architectural impact — community spaces that provide benefits and opportunity to all Detroiters,” says Moddie Turay, founder and principal partner of CGP. David Howell, a longtime developer in the city, joins Turay, a former executive at Detroit Economic Growth Corp. The pair is working on two separate residential projects in Brush Park (just north of Comerica Park) — Brush House, offering 178 residences, and The Brush 8. The east riverfront development site spans 3.1 acres and was acquired for around $5.5 million. The parcel is bounded by Atwater, Rivard, Riopelle, and Franklin streets, and is located one block from the Detroit River.